This class is for 18 months to 3 year olds. Toddlers explore their specially prepared environment and are given the opportunity to follow their natural inclination to gather and absorb information. 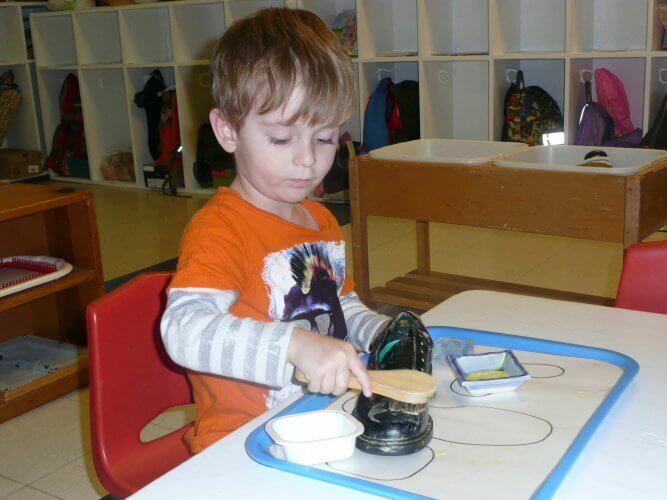 They learn the beginning skills of cooperation and self-reliance and are introduced to appropriate Montessori and other Early Childhood materials. This supportive structure enhances their developing self. Click here to email us and learn more about our school.